Rent-to-rent scandal – the latest get-rich-quick scheme. The tenant will pose as a landlord to other tenants, rent out the property and collect money from them. Make sure the person living in your house is the one to whom you actually rented your property. The tenant might provide a false proof of payment that looks authentic. And by the time you realize and track him down, he would’ve fled leaving you with an outstanding utility bill or vandalized property. Tenants are on the lookout for individuals with a clean credit history and con them into co-signing a lease so that their own negative credit history is overlooked. Identity theft is another scam commonly used by tenants. They manipulate ID documents or steal a family member’s identity making it difficult to track them down. 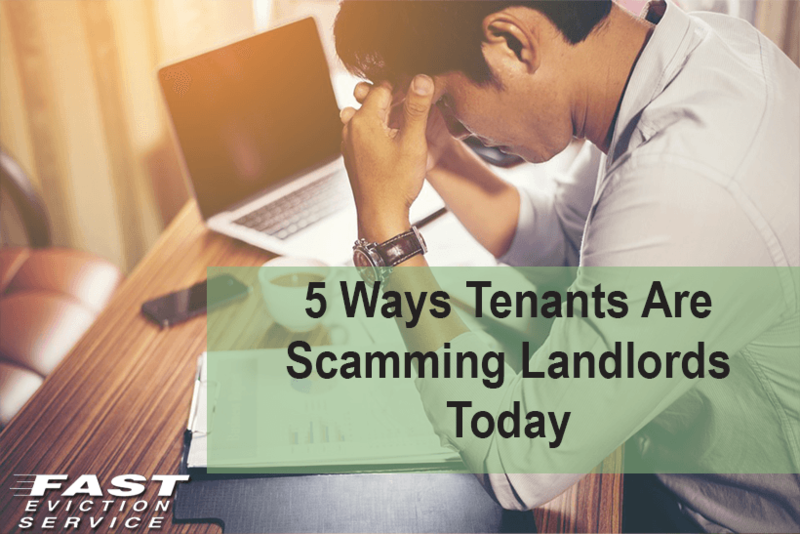 Through fake references from friends who pretend to be former landlords or employers, or easily available phony resumes, the tenant might trick you into believing that he or she would be the perfect tenant.